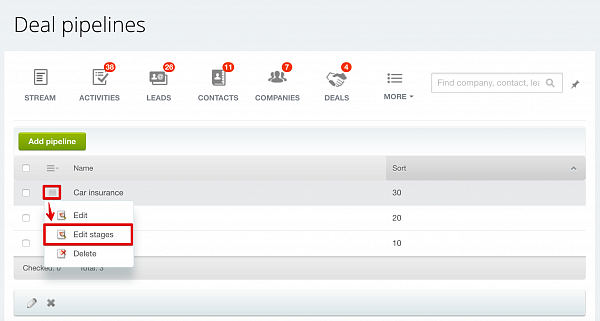 If you are a Bitrix24 Standard or Professional user, you now have access to multiple pipelines and sales funnels. Why is this important? Suppose, you run a car dealership. This means that you have multiple profit centers – you sell cars, parts, insurance, accept trade-ins and do repairs – to name a few. 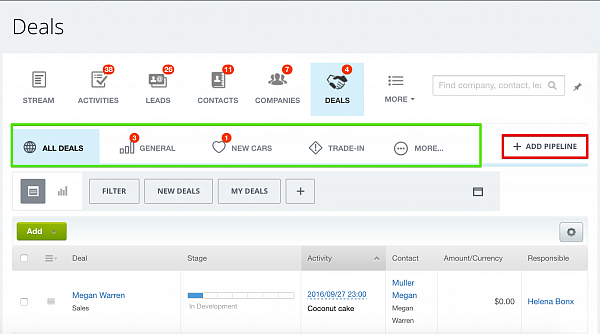 The problem is that the sales process for new or used cars is totally different than one for selling parts or insurance. Setting up a test drive is an important stage for selling or leasing a car, but it’s simply not applicable to insurance sales or oil changes, which don’t involve multiple sale stages. Even when you sell a single product, upselling and renewals are usually treated as different pipelines. That’s why multiple pipelines and sales funnels are so handy. If you are using Free or Plus plans, first go to Subscription and click 'Upgrade' in order to activate 30 Day Bitrix24 Professional trial. 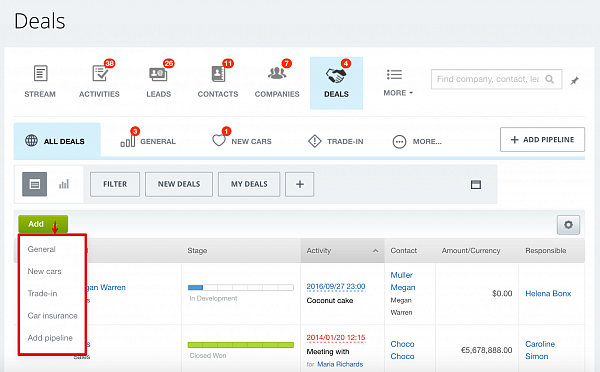 Then go to CRM Settings or Deals and add a new Pipeline. You can change sorting number here as well, if necessary. Then click Edit Stages and create new stages. 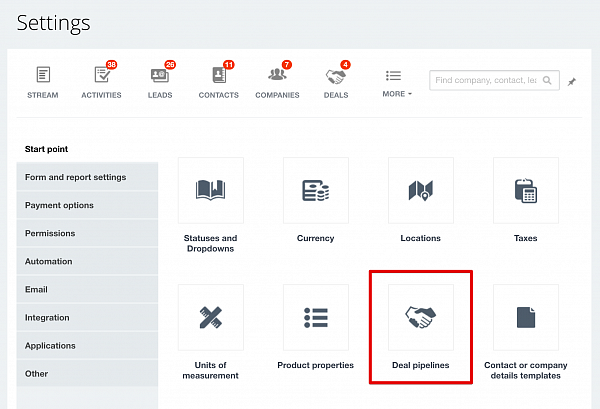 Now, when you create a new deal, you can select which pipeline it should belong to. 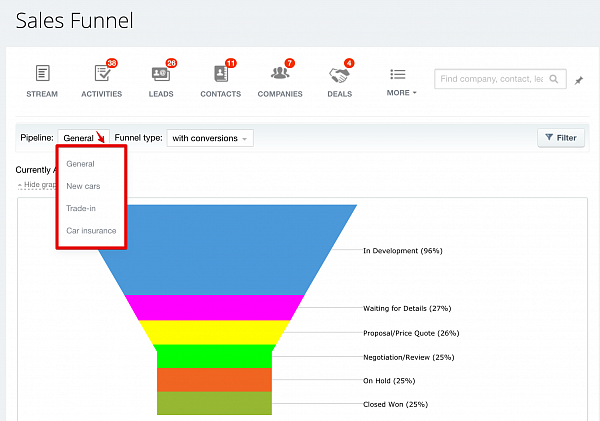 After you do that, you can go to Sales Funnel and select which pipeline you want to build the funnel for in order to analyze your sales process and estimate future sales.